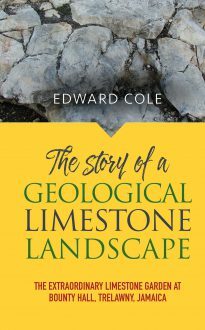 Some years ago Edward Cole, a West Indian living in London, discovered an extraordinary natural limestone landscape on land he had bought in Trelawny, Jamaica, to build a house. Ever since the discovery he has worked tirelessly to expose and display the stones, created by nature millions of years ago and since buried by earth, trees and bushes, in order to allow them to be seen by the public. There are few if any other places in the world where you can see such a rich array of examples of nature’s work in carving rock formations from limestone. They have now been used to create an artful range of displays as the basis of the Limestone Garden. This book is designed to inspire the reader and to reach a wider geological audience.